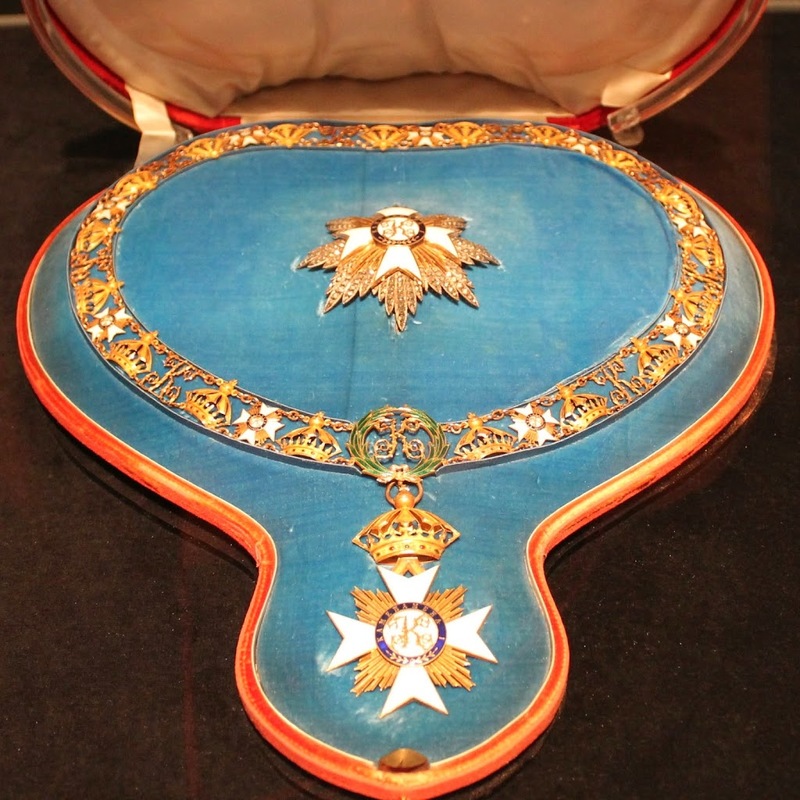 An Order or Order of Merit is a visible honor (in many cases represented in some form of medal and/or ribbon) awarded by a monarch, government or organization to an individual. Most historic orders imply a membership in a group. Modern Orders of Merit and other Decorations can be traced back to the monarchical and honorific orders of chivalry as established in the Middle Ages. These were societies, fellowships and colleges of knights created by European monarchs in imitation of the military orders of the Crusades. Fast forward to 1863 and Hawaiʻi; with the death of his younger brother (Alexander Liholiho – Kamehameha IV,) Prince Lot Kapuāiwa became Kamehameha V. He sought a new constitution to restore more powers to the king. In 1864, when it appeared that a new constitution could not be agreed upon, he declared that the Constitution of 1852 be replaced by one he had written himself. The King made himself an ex officio Grand Chancellor of the Order of Kamehameha I; he also conferred the Order to a number of people, including, Mataio Kekūanāoʻa and Richard Wyllie (Grand Cross;) CG Hopkins, GM Robertson and EH Allen (Commander;) and a number of Knights. Participants in the 1867 meeting included King Kamehameha V, Mataio Kekūanāoʻa, Elisha H Allen, E Varigny, CC Harris, John O Dominus, Paul Kanoa and HP Staley. The class and membership limitations did not include the King’s right to make appointments to foreigners (Foreign Exchanges) or as complementary to foreign sovereigns or powers. Commissions issued to members of the Order were signed by the King and countersigned by the Chancellor of the Order. In the duration of the issuance of Order medallions under the Hawaiian monarchs (1865-1886) the Order of Kamehameha was awarded 57-times by King Kamehameha V and 82-times by King Kalākaua. The insignia, worn on the left breast, consists of a Maltese surmounted by the Hawaiian crown. Rays of gold or silver are found between the arms of the cross. Enameled in blue and white and centered on the cross is a circular shield, the center of which is inscribed and elaborate “K”. In 1893, after the overthrow of Queen Liliʻuokalani, the Order operated as a secret society until 1903, when under Prince Kūhiō Kalanianaʻole it returned into the public light. On July 16, 1907, Jonah Kūhiō Kalanianaʻole, George H Huddy, Nagaran Fernandez, Carlos A Long, James H Boyd, George E Smithies, Charles H Rose and Abraham Fernandez petitioned for a Charter for the Hawaiʻi Chapter No. 1, Order of Kamehameha. E hanai ʻawa a ikaika ka makani. Feed with ʻawa so that the spirit may gain strength. ʻAwa is a canoe crop, one of the plants brought by the earliest Polynesian voyagers arriving in Hawaiʻi. It is a member of the pepper family. In other parts of the Pacific it is known as Kava or Kava Kava. It is a shrub growing about four to eight feet high. There are several native traditions regarding the origin of ʻawa in Hawaiʻi. Perhaps the most significant narratives describe ʻawa as having been brought to Hawaiʻi from Kahiki (the ancestral homelands) by the akua (gods) Kāne and Kanaloa. It is valued as an intoxicating drink and as a medicine. ʻAwa is also a sedative, used as a sacred plant for prayer, as well as appreciated for pleasure, especially in the south Pacific islands. It assists in opening communication channels with others and with the elements. 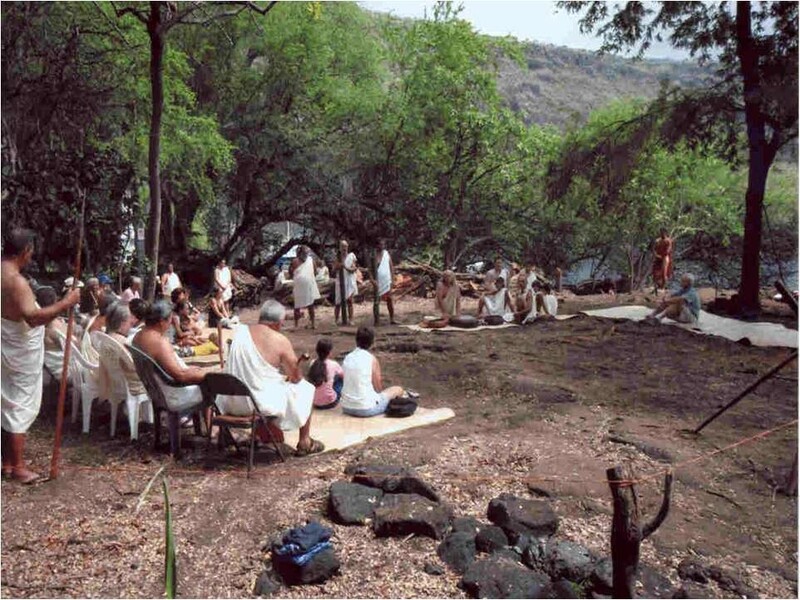 The image shows the Kaʻawaloa ʻawa ceremony. In addition, I have added related images in a folder of like name in the Photos section on my Facebook and Google+ pages.